Renewable sector players are celebrating this week after the European Union’s Industry and Energy Committee agreed to increase the share of energy produced from renewable sources and increase support for consumers who use self-produced renewable power. The vote, which took place on Tuesday, saw 43 MEPs back the proposal (14 against and seven abstentions) that a minimum of 35% of all energy consumed in the EU would need to come from renewable sources by 2030. For the transport sector, at least 12% of the energy consumed in each member state would have to be produced from renewables, such as the sun or wind. The MEPS have clearly listened to the renewable sector. 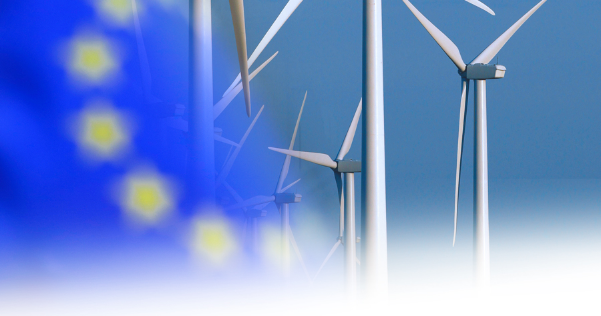 Players such as WindEurope, the European Renewable Energies Federation and Ocean Energy Europe sent a joint letter to European Parliament members back in June calling for a binding target of at least 35% by 2030. Reacting to this week’s news, Rémi Gruet, CEO of Ocean Energy Europe, said the new target would “keep Europe in the game in terms of global renewable energy technology leadership, and generate significant jobs, growth and export opportunities”. WindEurope’s CEO, Giles Dickson commented that the target was “not only affordable but also economically desirable”. In terms of the goal of helping renewable energy self-producers, MEPs voted to amend the legislative proposals to make sure that consumers who produce electricity on their premises are entitled to consume it and install storage systems without having to pay any charges, fees or taxes. They also ask member states to assess existing barriers to consuming energy produced on your own premises, to promote renewable self-consumption being developed further. MEPs also want to help people setting up renewable energy co-operatives in their communities, where they can install solar panels, wind turbines or hydroelectric power jointly. They therefore ask member states to ensure that consumers, particularly households, can join such renewable energy communities without being subject to unjustified conditions or procedures. The legislative resolution on the 2030 target will be voted on by the full European Parliament during the January plenary session to give MEPs the mandate to start negotiations with EU governments.